This new book provides a framework for understanding the international relations of armed groups, including terrorist organizations, insurgencies and warlords, which play an increasingly important role in the international system. Specifically, the book argues that such groups can be understood as taking part in the balance of power with states and other armed groups, as they are empirically sovereign non-state actors that are motivated by the pursuit of power and exist as part of an anarchic, self-help system. This radically new approach offers a renewed conceptualization of Neorealism, and provides new insights into debates about sovereignty, non-state actors, new wars, counterterrorism, and counterinsurgency. The approach is illustrated through case studies on Somali warlords, the security complex between the Lord’s Resistance Army (LRA), Sudanese People’s Liberation Army (SPLA), Sudan and Uganda, as well as Al Qaeda. 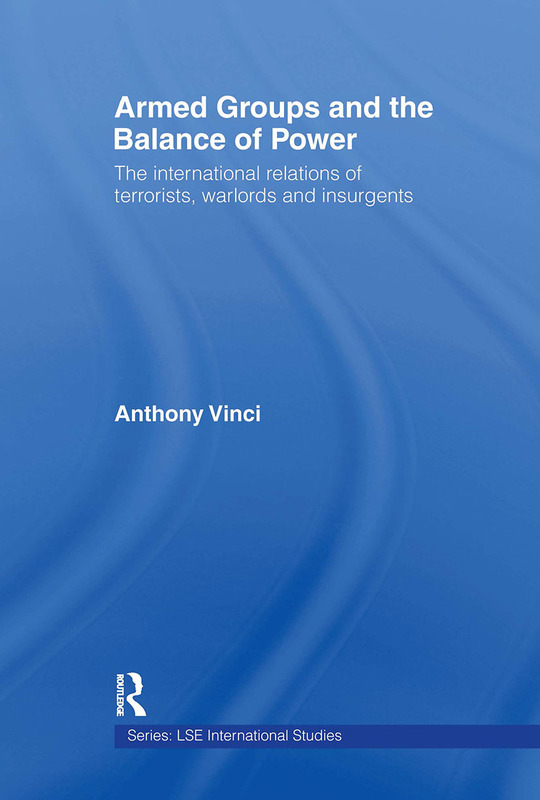 The book provides insights into such issues as how non-state actors can be integrated into structural theories of international relations, and also offers pragmatic methodologies for the foreign policy or military practitioner, such as how to best deter terrorists.